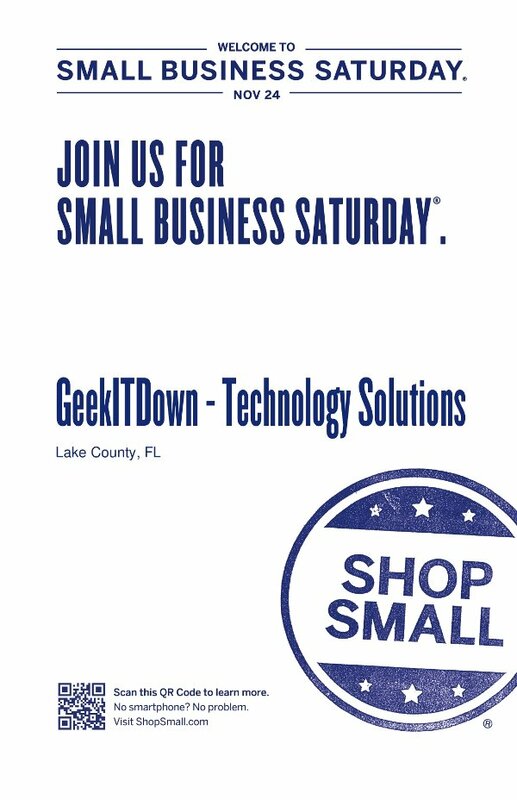 GeekITDown is proud to take part in Small Business Saturday, and we’re encouraging everyone to Shop Small® here on November 24th. Plus, we’re having a special Small Business Saturday offer! Check back on November 24th and you’ll get a full year of remote tech support for the cost of a single remote service!